Largely viewed as a city built for the automobile, things were not always this way in Jacksonville. Eight decades have passed since buses replaced streetcars as the city's primary mode of public transportation. As time has moved on, the idea of a sunbelt city being built and developed to accommodate the automobile has become common amongst its population. However, the reality of Jacksonville's situation is that for much of first century of its development, the autombile was not a dominant mode of travel. 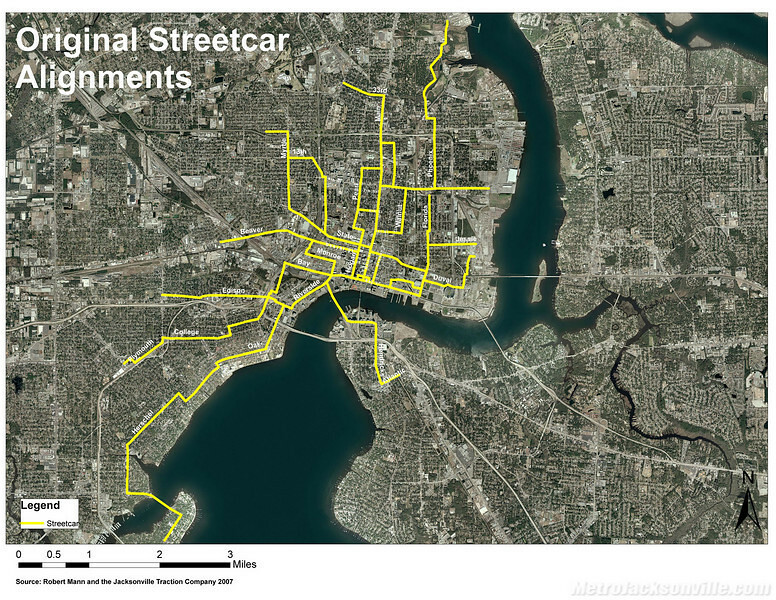 At its peak, over 60 route miles of streetcar lines served a compact 30 square mile city with 130,000 residents straddling the St. Johns River. Originating as a horsecar network in 1880, this lost public transportation system physically shaped the city’s pedestrian scale neighborhoods that remain today. 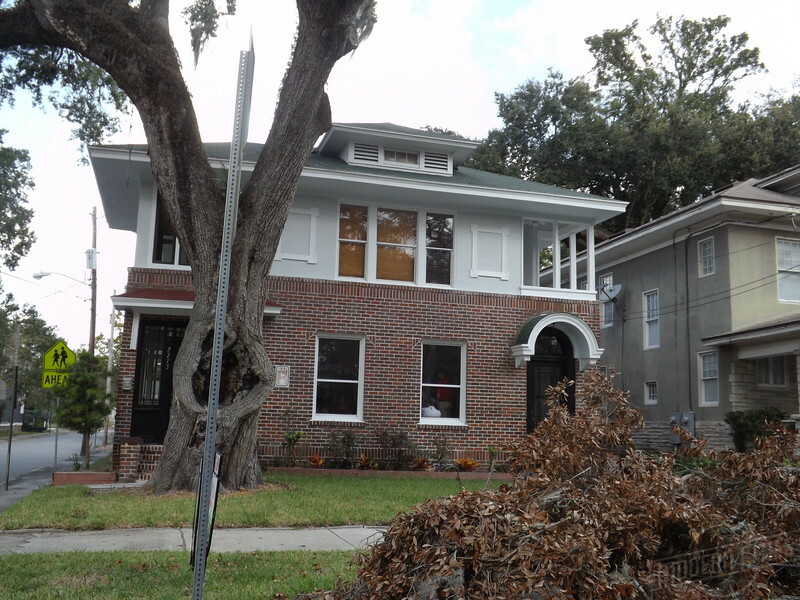 With this in mind, Ennis Davis, AICP of Modern Cities highlights how the historic character of Riverside was strongly determined by two streetcar lines that breathed life into this once rural area of Jacksonville. Carved out of former plantations in 1869 and introduced to a mule drawn streetcar line in 1886, Riverside was still a sparsely developed subdivision on the outskirts of Jacksonville when the first electric streetcar was introduced in 1887. Little did anyone know that Frank J. Sprague’s creation in Richmond, VA would radically alter development patterns across the country literally overnight. Sprague’s electric streetcar allowed more efficient travel in greater distances from a community’s core giving birth to “streetcar suburbs”. Myra and Margaret Streets, looking towards Dellwood Avenue, along the Murray Hill car line in Riverside in 1929. Sprague’s phenomenon reached Jacksonville in 1893 when the Main Street Railway began running electric-powered streetcars between downtown and Springfield. 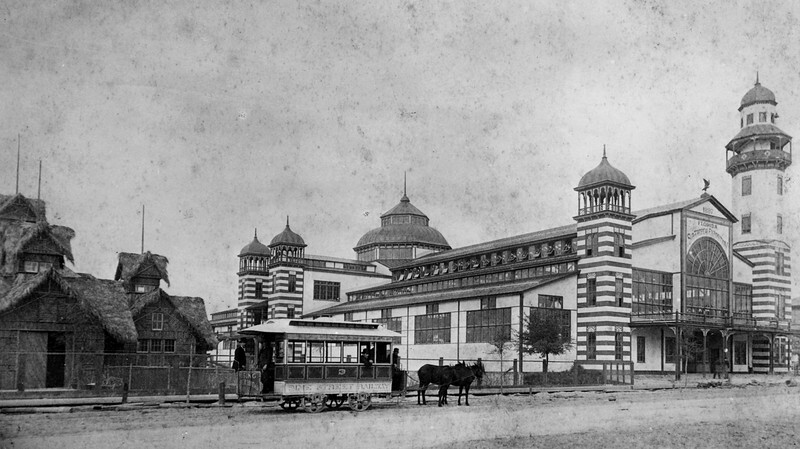 Two years later, the Jacksonville Street Railway Company followed suit by replacing their horsecar system, which included a line to present day Five Points, with electric streetcars of their own. Efficiently connected with downtown, the neighborhood within walking distance of the streetcar’s terminus near Riverside Avenue and May Street began to rapidly grow. In 1908, John N.C. Stockton’s Ortega Traction Company extended the Riverside line five miles south to Ortega. While Stockton’s line was intended to spur development in Ortega, it also set the stage for the urbanization of Riverside. Stockton’s streetcar extension ran from the intersection of Margaret and Oak Streets, down Oak Street to King Street, Riverside Avenue, Aberdeen Street and then to Herschel Street. This 1913 Sanborn map illustrates a relatively undeveloped section of Riverside that would eventually become the Stockton Shops by 1929. 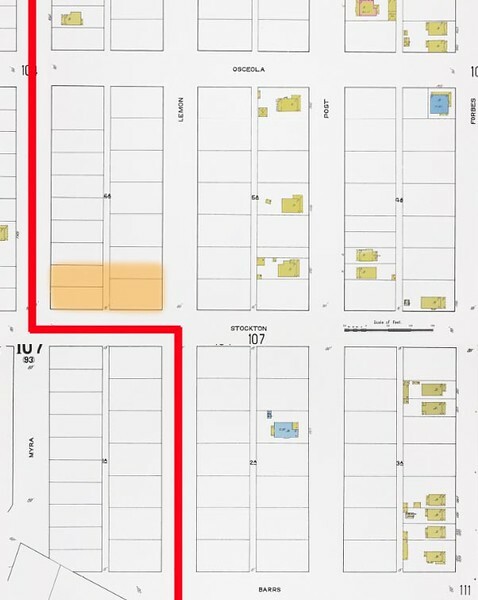 The route of the Murray Hill car line, completed in 1914, is shown in red. A few years later, the combination of additional development by the Jacksonville Development Company and Murray Hill landing the Florida Military, led to a second streetcar line in the neighborhood being approved in 1913. Initially, known as the Lemon Street car line, it entered Riverside from Brooklyn via Dellwood Avenue. From Dellwood, it transitioned to Margaret Street, Myra Street, Stockton Street and College Street before crossing and paralleling the Atlantic Coast Line Railroad into Murray Hill in 1914. 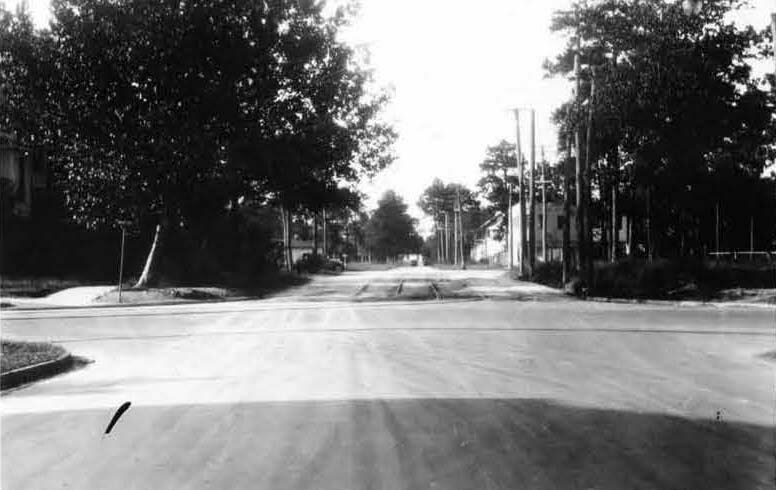 Back on the other side of the neighborhood, World War I indirectly made the Riverside car line into a popular route, when it was extended from Ortega to Camp Johnston (now NAS Jax) in 1918. Multifamily housing situated within one block of the former Riverside car line. By the time the Florida Land Boom had arrived, along with lines in Brooklyn, the Riverside route represented the lion’s share of streetcar ridership growth throughout the city. With 6 minute headways provided on the Riverside car line and 7.5 minute headways on the Murray Hill car line, pedestrian scale transit oriented development went into overdrive throughout Riverside. Although streetcar service was replaced by buses in 1936, several streetcar suburb development characteristics remain throughout Riverside today.